Lace, ruffles, a tiny cap sleeve, and even a Peter Pan collar... This dress from Three Floor was made for me! I am new to the Three Floor brand, but I was instantly drawn to the structured yet feminine designs. Not too many U.S. retailers carry the brand yet, but I hope they will start very soon. I felt so good putting this dress on today; it's just beautiful in person, and the navy and lilac compliment each other so well. I love all the little details, and you won't see anything else like it out there. I was not sure about sizing, so I ordered a size 6 to be on the safe side, but honesty, the dress is a little big on me. I think the size 4 would have been perfect. Oh well -- at least now I know that the sizing for this brand runs true to size. You just never know with British brands. Hopefully everyone had a fun Easter weekend. 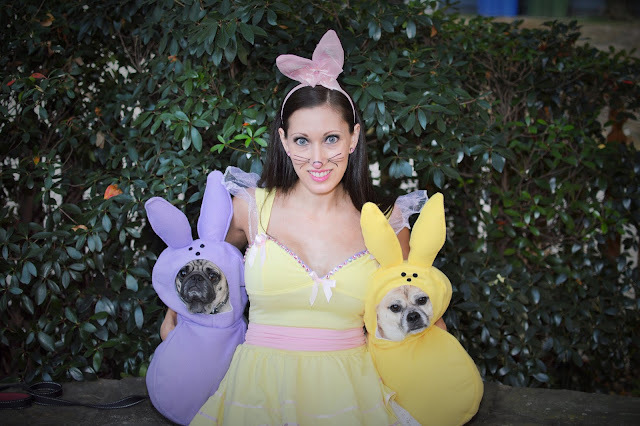 I re-posted my Halloween photo on Facebook, and so many people enjoyed seeing my little Peeps. My boys sure do look cute in their costumes.